Learn the difference between different concrete cutting and wall sawing techniques, how it works and how you benefit from it. To gain a perception of how you can benefit from concrete wall sawing means knowing the various purposes it serves. Also referred to as ‘track sawing’, it is an effective method of concrete sawing which can be applied to reinforced concrete walls and floors. This method utilises specialised sawing equipment that is powerful. It is primarily employed in the provision of isolation cuts, generally to a depth of 750 mm with the aim of separating two integral structures. It is a highly efficient and effective tool that offers easy to assemble components. It has high-quality diamond blades for obtaining the minimum level of friction. This type of concrete sawing system requires a highly trained and experienced operator. This operator should be able to assemble a wall saw by connecting it to the concrete or masonry selected for cutting. Once the determined position is being achieved, the wall saw head will traverse vertically or horizontally to complete its designated task. The diamond saw blade is then joined to the wall saw head mechanism, from which it rotates at a high speed forming the cut. The material subjected to the concrete sawing process is demolished by the saw blade in small pieces until the determined depth has been reached. The complete wall sawing procedure is overseen by the operational engineer using remote control. This makes it possible for a safe working environment to be sustained during the operation, without concerns for the structure involved or the equipment. Concrete sawing has been recognised by established contractors because of its overall efficiency and the cost-effectiveness of the operational system. It offers significant advantages over conventional concrete removal alternatives. Concrete wall sawing is an innovative system that arguably contributes advantages and resultant benefits that have affected dramatic changes within the concrete cutting industry. 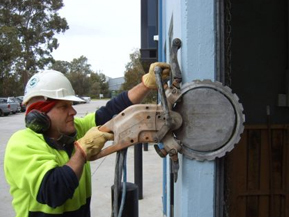 Irrespective of whether a job involves cutting conventional materials, inverted or flush-cut; concrete saw cutting with a skilled operation can be utilised in the majority of situations. The techniques used today by engineers and general contractors among others are those that have been developed since the founding of the concrete cutting and drilling industry in the 1940’s. Specialised skills and expertise are required from contractors who are capable of providing concrete cutting and sawing services, with recommendations obtainable from the Concrete Sawing & Drilling Association (CSDA). CSDA is a non-profit trade association founded in 1972. This organisation is composed of contractors, manufacturers, and affiliated members from the concrete construction and renovation industry. Their mission is designed to promote the selection of qualified, professional concrete sawing and drilling contractors, and their methods. Enlisting a CSDA accredited contractor ensures that the best and most advanced industry techniques and equipment are utilised for the most efficient and cost-effective operation. The highly skilled operators are fully aware as to which types and sizes of saw blades, drill bits and wires are most suitable for a particular application. Contractors that are accredited by CSDA have a full understanding of working clearance and disposal, as well as other issues related to a construction site. The wall sawing technique calls for a circular blade on a track-mounted machine. This machine is capable of operating on vertical walls, steep inclines, or on floors. It is also suitable in circumstances not suited to flat saws. It involves a round steel core that includes diamond segments attached to the outer side. The method of diamond wall or track sawing is generally utilised in applications needing precise cutting utilising straight and bevel concrete saw cutting. For example, dimensional window, door and vent openings. The wall sawing technique is a highly efficient method of concrete cutting, powered by hydraulic, air or electric sources. It is an option that provides a solution for the creation of exact openings in any form of concrete structure. This method of concrete cutting known as “flat sawing” is regarded as the most highly utilised diamond cutting method. It is generally used in the cutting of horizontal flat surfaces, such as flooring, pavement and bridge decks. Flat saws (slab saws) have a diamond blade mounted on a mobile machine that requires only one operator. Flat saws are popular in the creation of expansion joints or the removal of damaged segments of pavement, as well as in the cleaning and repairing of cracks. They are also used in the segregation of concrete sections designated for demolition. Similar in design to the diamond wall saw blade, it is mounted vertically on a spindle. This concrete saw cutting machine is moved across a flat surface, with the blade making a vertical cut to a predetermined depth. Flat saws are usually powered by electric hydraulic sources, gasoline or a diesel engine. The need for core drilling arises in the event when exact and circular cuts are being required. This tool enables the easy drilling of holes of virtually any diameter, for openings related to electrical, HVAC and plumbing installations. In addition, it is found to be very useful in the creation of space for routing cables, anchoring bolts, and in the installation of load carrying devices, such as dowel bars. It is also helpful in obtaining samples of concrete for analysis. Core drills can be operated vertically or horizontally, and can be powered by electric, hydraulic or air power sources. A core drill bit is comprised of a steel tube with diamond segments brazed or welded by laser, with the core bits mounted on the rotating shaft. The wire saw concrete cutting technique was developed in quarries. This was created to meet the challenges encountered in the operations of extracting stone. It has since been established as a preferred method for removal of dense sections of concrete. The basis of its operation is a multi-strand cable added to the diamond segments. It is guided through a sequence of pulleys and continuously through the concrete. Due to the practically unlimited potential of this concrete saw cutting method; wire saws are used in situations where other cutting methods are not viable. This is an ideal project solution for the removal of bulky and heavily reinforced sections of concrete, such as bridge sections, towers and piers. It is also a valuable and cost-effective asset for concrete cutting, especially in situations where there is restricted work space. Concrete wall sawing is a delicate job that requires experience and expertise in the field of concrete cutting or sawing. To be able to achieve desirable results, you will need highly skilled contractors to perform the task. Here are some tips on how you can find the best concrete wall sawing service provider. The golden rule for this particular project is to conduct thorough research instead of paying for the negative consequences in the future. In this respect, your search for a reputable and dependable concrete sawing contractor should begin by contacting friends and business associates. Be sure that these contacts have utilised these services in the past. You can also search for reliable contractors in reputable online sites and other media outlets. In general, contractors, especially those involved in concrete sawing, supply details of their capabilities and related experience in their websites. Check out these details in their respective online sites. It is also best to check reviews from satisfied customers and their achievements or portfolios regarding certain past projects. Doing this enables you to gain insight into their qualifications, including appropriate licensing. Request a list of completed jobs. 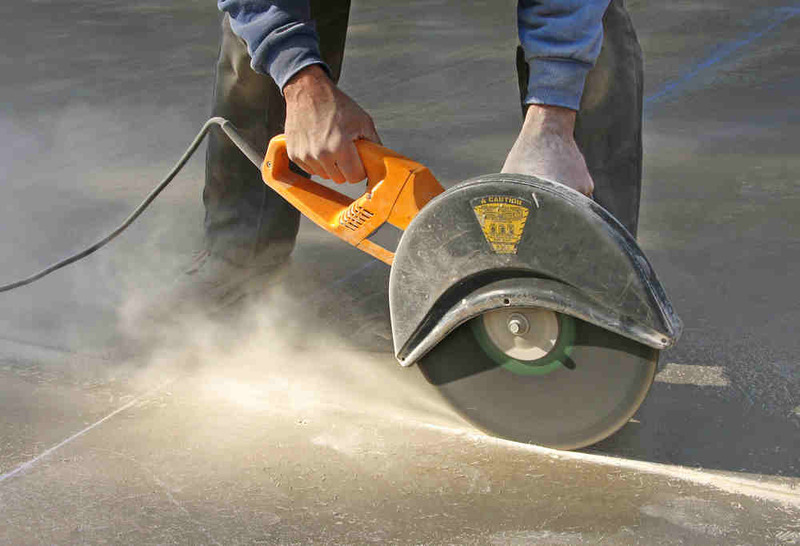 This will help you determine how familiar the contractor is with your particular type of concrete saw cutting project. Should you be provided with contacts, view their completed work and obtain direct references from the customers. Ask each customer whether the project was completed on time and to their satisfaction. Were there any unexpected costs incurred? Did the workers arrive on time and leave the job site clean and tidy? This can be supported by visiting jobs that are in progress. Licensing and insurance are essential criteria for any established contractor. It can extend from a basic registration to a complex qualification process. Therefore, ensure the licence presented by a contractor is current. Make sure they are appropriately insured for personal liability, property damage coverage, and worker’s compensation. As you progress with your research, the experience of a contactor related to concrete saw cutting will to a degree become apparent. However, in this respect, it could be in your interest to gather information directly, even to the extent of direct questioning and confirming the information provided. Before committing to a particular contractor, obtain written estimates from those on your shortlist. However, do not automatically choose the lowest bidder. Instead, request an explanation for any difference in price. Upon reaching agreement with a selected contractor, ensure a written contract is drawn up. Megasaw have been providing concrete cutting, drilling, and sawing services for over 40 years. We have gained practical experience in working safely with the most cost-effective methods for cutting, drilling or sawing concrete and other masonry materials. We are able to provide our customers with the latest in technically advanced cutting equipment, tools, and technology. At Megasaw, we are aware of our responsibility for the future generations and our environment. This has motivated us in a recycling program that ensures the reusing of as many of our consumables as can be achieved. In addition, it is our policy to clean up our slurry, to prevent contamination of our waterways. At Megasaw, we understand that our current and future clients are seeking fast, safe and reliable service at a competitive price. That’s why our fully equipped service vans are regularly maintained to satisfactorily meet our clients’ needs. This is further supported by our commitment to new technology and equipment in all areas of our expertise. At Megasaw, we dedicate this valuable commodity to our customers, which is derived from tempered experience. 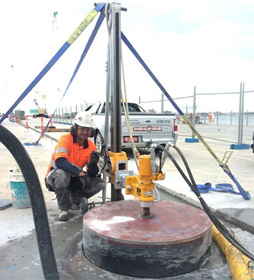 We are an established company, with over 40 years of experience in the concrete cutting and drilling industry. Our thousands of successful concrete sawing jobs are the proven record of our precision and excellence.